Koble Joins Exhibitors at 38th Annual Small Business Development Center’s Conference in Washington D.C.
Koble, a leading global business matchmaking platform, is joining exhibitors supporting the nation’s small business owners at the 38th annual America’s Small Business Development Center (SBDC) Conference kicking-off today in Washington D.C. The conference, which will run from today through September 7, will bring together over 1,300 small business professionals for a weekend of networking and business development. Over the course of the three-day conference, there will be over 140 workshops by exhibitors who will be showcasing their products with the goal of helping small businesses. Koble will be among the exhibitors, demonstrating to SBDC professionals how state and local SBDC’s can leverage Koble as a resource for the existing and new businesses they are helping grow and prosper. State SBDC’s such as the Colorado SBDC have already adopted Koble as a resource built into their free consulting and no-or-low-cost training programs. Koble’s business matchmaking platform makes it easier for small businesses to connect with other companies to solve their biggest challenge — finding new customers. 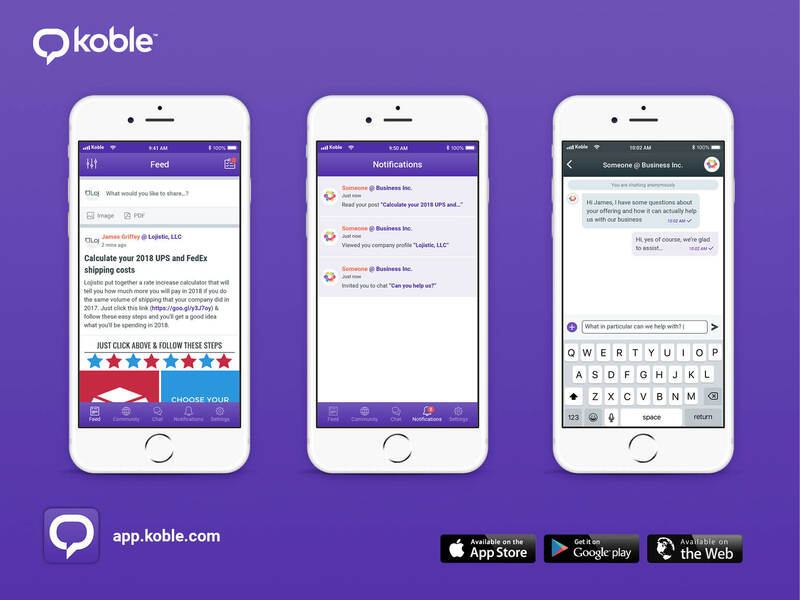 Unlike existing professional networks designed solely for building personal brands, Koble combines the power of social networking with the intelligence of anonymous and AI-powered matchmaking to enable small businesses to focus on discovering, connecting and facilitating business deals with clients and buyers around the world. Koble’s 2018 SMB Sales and Growth Confidence Survey, which was covered by Small Business Trends earlier this year, found that the biggest obstacle for small businesses looking to grow was finding new customers (46%). This ranked well above other barriers to growth such as Limited Access to Capital (16%), Hiring New Employees (16%), New Government Regulations (7%), Macroeconomy (3%) and Tax Reform (2%). 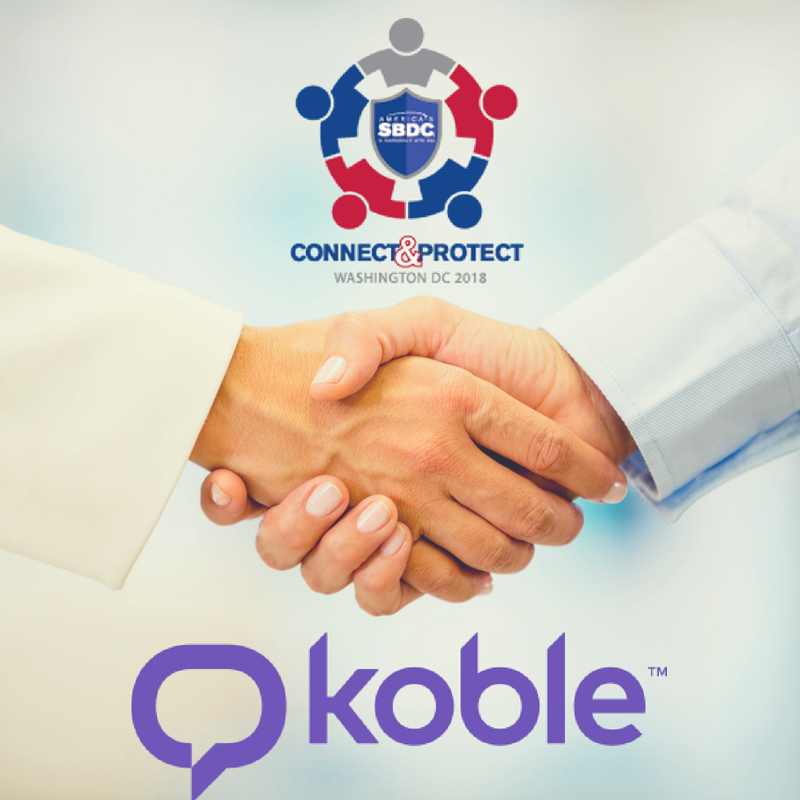 To learn more about using Koble as a business resource visit Koble at the SBDC Conference at Booth #45. SBDC professionals interested in using Koble as a resource for their state and local businesses can also inquire about integration and partnering with Koble at emmanuel (at) koble (dot) com. Small businesses can join the Koble platform to find new customers on the web at Koble.com, and through the iTunes App Store and Google Play Store. For more information about the SBDC Conference, please visit: https://americassbdc.org/conference/2018-home/. Founded in 2016, Koble is a B2B matchmaking service that is reimagining the way larger companies and smaller businesses connect. A buyer-friendly community where content sparks meaningful conversations, Koble promotes authenticity, privacy and relevance to help professionals uncover genuine business relationships. On the app, a match is created after a user has shown interest in the content posted by another user or by viewing its profile. From here the user can start a chat with their match and convince them to reveal their identity. When successful, users are free to connect, meet and freely communicate.